Achieving aesthetically pleasing and functional results necessitates careful evaluation of the bone and soft tissue quantity and quality by our oral and maxillofacial surgeons. We work closely with your referring doctor to assure the best outcome possible from a surgical and restorative aspect. During your consultation, we will discuss the risks, benefits and alternatives along with all possible anesthetic options for the treatment, which may include local anesthetic, nitrous oxide (laughing gas) and/or IV sedation (conscious sedation, deep sedation or general anesthesia). Once anesthetized or sedated, the surgeon will expose the surgical site and prepare the missing tooth site for the dental implant utilizing the particular implant system agreed upon with you and your restoring dentist. Dental implant surgery requires very specific instrumentation which allows the surgeon to carefully position the implant for the future crown. We also have the newest technologies, including navigational (real-time, 360 degree, 3D navigation) implant placement. In some instances, bone grafting or soft tissue grafting may be also be performed during the implant placement. Bone quality (density and health of the bone) varies with every patient. Osseointegration is defined as the period of time for your implant to biologically fuse to bone. Depending on the quality of bone and the stability of your implant at time of placement, your surgeon will decide the length of time it will take before you can proceed with the definitive restoration/crown (typically 2-4 months). There are occasions where the implant may be immediately restored with a provisional crown. This is possible if the implant achieves a high stability reading and your occlusion allows immediate placement of the provisional crown. If immediate provisionalization is provided for you, the osseointegration process still must take place so the provisional crown is worn for a period of 6 months. The surgeons at West Coast Oral and Maxillofacial Surgery Center will strive to immediately load the implant when it is in the aesthetic zone (anterior region of your upper and/or lower jaw). West Coast Oral and Maxillofacial surgeons will advise on follow-up appointments and proper oral hygiene. Follow-up care is of utmost importance. Ideally, our surgeons will want one to three appointments to check the surgical site and observe the soft tissue healing and implant osseointegration before determining when the patient may proceed with the definitive restoration. 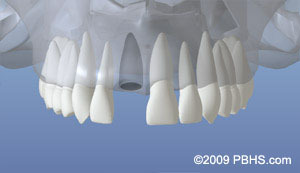 Dental implants can be placed two months after an extraction. Sometimes patients are candidates for an extraction with immediate implant placement. The possibility of performing immediate implant placement will be determined from a cone beam computed tomography (CBCT) scan. If the patient presents with an infection or traumatic bone injury, extraction immediate implant procedures are typically not recommended. Please call the office to inquire about a consultation: Los Angeles Office Phone Number 310-820-6691. If the patient presents with a missing (edentulous) tooth for a long period of time the opposing tooth and or adjacent teeth lose function. This can cause bone structure to change and become weaker because there is nothing present to stimulate the bone. Sometimes additional bone needs to be grafted to ensure successful osseointegration and adequate bone for implant placement. 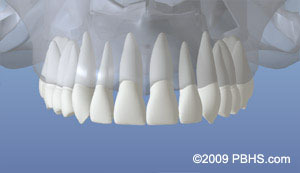 Typically, one edentulous space (single missing tooth) requires one dental implant. In some cases, two implants may be sufficient to support three to four prosthetic teeth. Dental implants come in different sizes and dimensions to meet the various needs and conditions found in the jaw. After a CBCT scan is taken, our surgeons can determine the ideal implant length and diameter for the patient.